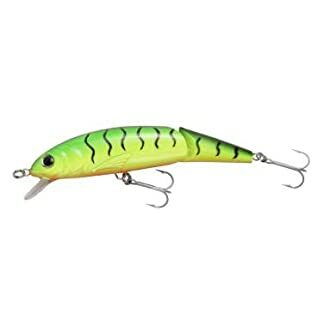 5 x Hard Plastic Lures – 1Pc Minnow,1Pc Popper,1Pc Pencil,1Pc Crankbaits,1Pc VIB. 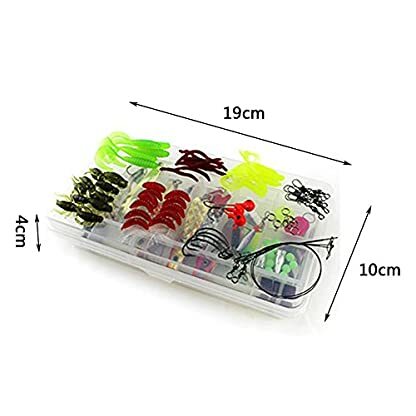 46 x Soft Silicone Lures – 24Pcs Worms,10Pcs Earthworms,10Pcs Crickets,2Pcs Shrimp. 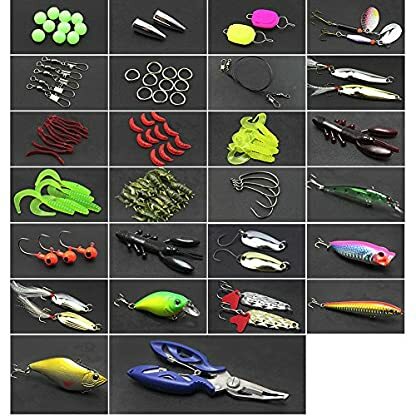 10 x Metal Spoons, from 3g to 11g. 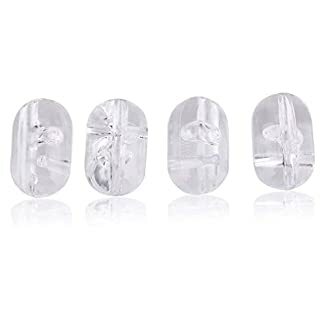 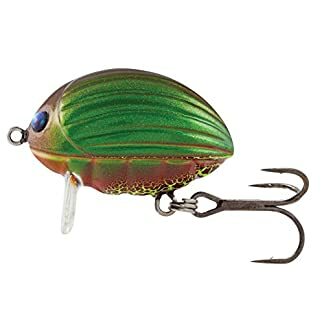 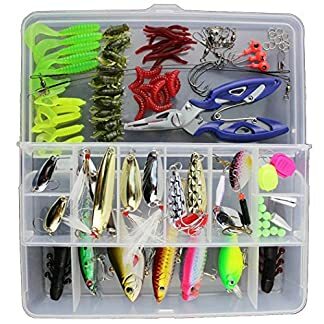 39 x Other Fishing Accessories – Stainless Steel Pliers,Stainless Steel Rings,Sharp Hooks, Bullets, Jig Head, Line Stopper, Swivels and Clips and others. 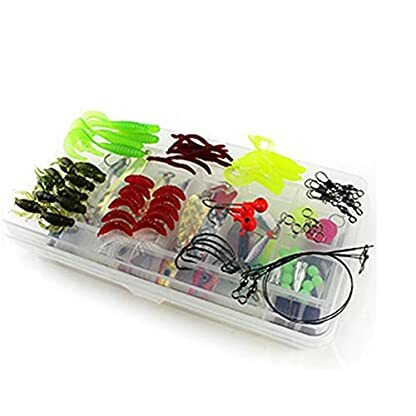 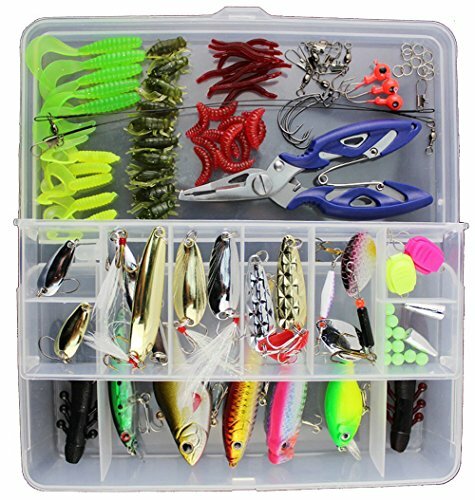 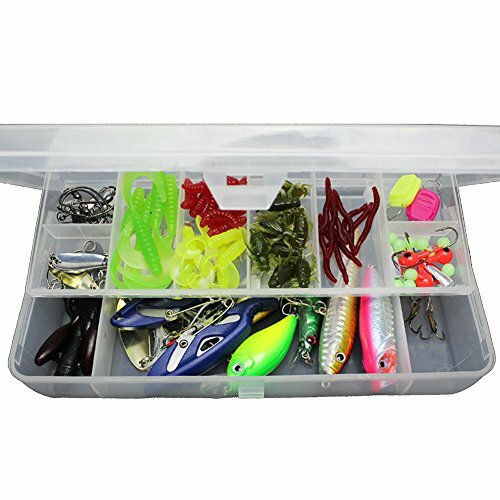 1 x Semi-transparent Fishing Tackle Box.